Despite both Magento 1 and Magento 2 are SEO-friendly platforms, there is still room for improvement in this area since SEO has vital importance for every ecommerce business. Therefore, the platform offers a lot of third-party solutions, such as Mageworx Magento 2 SEO Suite or Amasty SEO Toolkit (other Magento SEO Extensions). Today we are going to dive deep into the functionality of the Mirasvit Advanced SEO Suite. The module is already available for Magento 2 and 1, so you can use it on any version of your platform. If you are looking for a powerful Magento extension for SEO compliance of your ecommerce storefront, you came to the right place. 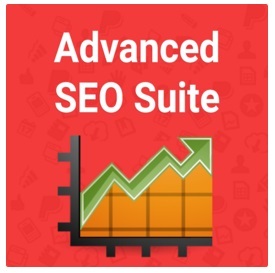 Mirasvit Advanced SEO Suite will help you tune your Magento website for visitors, providing lots of automatic SEO settings, so you get a chance not only to save your time but also eliminate the need to hire expensive SEO specialists. We compare Mirasvit and Mageworx SEO solutions here: Magento 2 SEO Suites Comparison. The extension has a very user-friendly backend, as well as a transparent frontend interface (both are described further in this post). 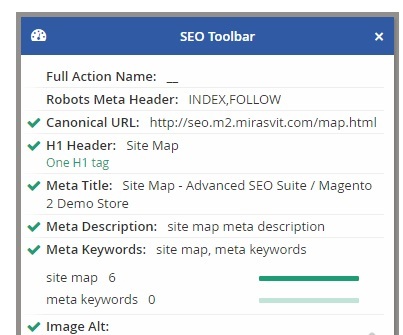 Key areas where Mirasvit Advanced SEO Suite for Magento 2 and 1 works include robots meta headers, canonical URLs, H1 tags, metadata, and image alt tags. The admin interface of the module enables you to create advanced SEO templates for different sections of your ecommerce store (e.g. products, categories, layered navigation); rewrite content according to modern SEO requirements; manage redirects; as well as create conditional rules to customize SEO workflows. Another important thing we should mention before exploring the backend of the extension is constant verification of settings you specify – if everything is correct, the module shows comments in green. If something goes wrong, Mirasvit Advanced SEO Suite will prompt you with recommendations in red. Let’s see how the extension works from the perspective of an admin user. The official demo illustrates the following backend elements: Templates, Redirects, SEO Rewrites, Canonical Rewrite, Autolinks, Site Map, and Settings. Below we will describe their settings in detail. First, let’s have a look at SEO templates available with Mirasvit Advanced SEO Suite for Magento 2 and 1. On the appropriate screen, you can see a grid with all available SEO templates. The grid includes such columns as ID, Internal rule name, Template Settings, Rule type, Status, and Sort order. It is possible to change status (Active/Inactive) or delete SEO templates using mass actions. Besides, filtering options are available for each column. To edit a template, click on its row in the grid. Template information is divided into three tabs: General Information, Rules Processing, and Conditions. In General Information, you can set such parameters as Type, Internal rule name, Meta title, Meta keywords, Meta description, H1 Title, SEO description position, SEO description, Product short description, Product description, Store view, and Sort Order, as well as change the position of Is Active toggle. Note that Mirasvit Advanced SEO Suite for Magento 2 and 1 automatically removes HTML tags and unnecessary white spaces from Description. Rules Processing tab lets you enable or disable Stop Further Rules Processing and Apply to Child Categories features. As for the Conditions tab, here you can add extra conditions, or leave it blank. Creating the main condition as well as several sub-conditions is possible. In case you enable the Stop Further Rules Processing feature, the template is applied to the page despite other rules with higher sort order value are applicable. Now, let’s have a look at the Redirects screen. There is also a grid that supports bulk actions available here. Consequently, you can quickly change status or delete redirects. Af for the columns of the grid, they are: ID, Request URL, Target URL, Redirect only if request URL can’t be found (404), Comments, and Status. You can add a new redirect or edit the existing ones from this page. Let’s see how one of the created redirects work. First of all, you should specify request and target URLs. Note that it is possible to use wildcards in case of request URL. Next, you should click on the toggle if a visitor should be redirected only if a request URL cannot be found. Then, it is possible to leave comments, set a status (Is Active – Yes/No), and choose a store view. Do not forget to save changes. Thus, Mirasvit Advanced SEO Suite for Magento 2 and 1 provides the ability to get more orders even from error pages. As for SEO rewrites, they are also available in the grid. Available columns here are ID, URL, Store View, and Status. The grid supports mass actions, so you can rapidly delete rewrites or change their status in bulk. Besides, it is possible to add a new rewrite or edit the existing ones in this screen. In the Edit Rewrite tab, you can set a URL pattern or action name, change the title, SEO description, and meta data (title, keywords, description), enable or disable the rewrite (Is Active – Yes/No), and decide where it should be visible. Note that SEO Rewrite rules are used for configuring meta tags, H1 headers, and SEO description for any store URLs. The rules are applied to chosen URLs but do not affect child categories. Note that Rewrites prevail over other SEO settings available in Templates. You might need to use canonical rewrite when you want to add exceptional canonical links to some pages of your store. In the Canonical Rewrite interface, you will see the grid with the following columns: ID, Canonical URL, Status, Store View, Comments, and Action. Here you can also apply mass actions to delete or change the status of the chosen rewrites. When adding a new canonical rewrite, in the General Information, you should enable or disable it (Is Active – Yes/No), specify Canonical URL, and pick store views. Then, you should set Regular Conditions or use Regular expression for the pages that will use canonical link set in Canonical URL. In the Additional tab, you can specify Sort order and add Comments for admin use if necessary. Another grid available in the extension’s backend is Autolinks. The grid has the following columns: ID, Keyword, URL, Sort Order, Store View, and Status. To add a new link, you will need to specify Keyword, URL, URL Title, select URL Target, and enable or disable Nofollow. Then, set Number of substitutions, Sort order, Occurrence (first, last, or random), enable or disable the link (Is Active – Yes/No), pick the period when it is active, and select store views. On the Site Map page, you can see all your sitemap files in the grid, which contains ID, Filename, Path, Link for Google, Last Generated, Store View, and Action columns. There are appropriate filtering options for each column excluding the Action column. As for available options, you can generate or add a new sitemap from this page. Hit on a sitemap row, and you will see its page that contains just two fields: Filename and Path. Note that you can delete, reset, save and generate, or only save the sitemap here. 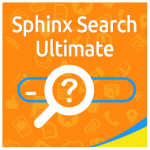 Mirasvit Advanced SEO Suite for Magento 2 and 1 provides the ability to optimize Google XML Sitemap automatically. The extension can hide specific CMS pages, add custom links, product images watermark, and product tag URLs, split sitemap into several files, as well as generate correct Google XML Sitemap files (links equal to canonical URLs are included). 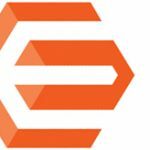 Below we will describe general settings of the Mirasvit Advanced SEO Suite for Magento 2 and 1 available in the Configuration section. All settings are available in four tabs: SEO, Rich Snippets and Opengraph, Auto Links, and Extended Site Map. The SEO tab provides settings for Canonical URLs for meta headers, configurable, grouped, and bundle products, and cross domain canonical URLs, as well as the ability to use the longest product URL as canonical and add ‘?p=’ to paginated content. Besides, you can choose pages where Canonical URLs will not be used. Another important option is related to robots meta headers. You can add as many items as you need. Besides, you can set robots meta header for HTTPS, enable Link Rel=”next/prev”, and activate the usage of meta tags from categories and products if they are not empty. For the Alternate configuration, you can enable Link Rel=”alternate” and hreflang (can be added automatically) and cut category additional data for alternate URL. In the Image Settings, you can make your images more SEO-friendly. There is also the Info section. These settings are visible on the frontend pages. Note that they will not work in case of FPC and Varnish. As for the Rich Snippets and Opengraph section, it also contains many settings which are divided into five tabs: Product, Category, Organization, Breadcrumbs, and Open Graph. With the Advanced SEO Suite module by Mirasvit, you get ultimate options for configuring your store rich snippets. The extension enables you to generate snippets for products with the following information: item description, image, and availability, payment and delivery methods, category, brand and model, other attributes, and more. As a result, you can make your categories look unlike others in search results. Besides, you can display full address and other contact information. To add Breadcrumbs to rich snippets of your product, you only need to choose Yes from the drop-down. Besides, Advanced SEO Suite provides you with the ability to integrate your Magento website pages into the social graph. In the Open Graph tab, it is possible to add meta tags for logos and images. You can choose where to add links and from which tags to dismiss them. Besides, Mirasvit Advanced SEO Suite for Magento 2 and 1 lets you skip auto links for certain pages, specify paths of templates for adding links, as well as set a links limit per each page. As for the Extended Site Map tab, it enables you to fine tune the frontend sitemap of your Magento website. Specify base URL path, meta data, H1 header, displayable elements and stores, and CMS pages that should be ignored. Here you can also specify additional links, exclude by pattern, and set a limit on the number of links on one page. 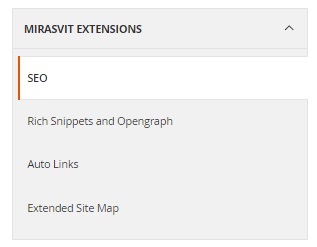 Mirasvit Advanced SEO Suite provides you with the ability to set the following frontend sitemap options: URL path, meta title, meta description, H1 header, CMS pages to ignore. Also, you can add links and define link patterns that will be excluded. It is also necessary to say a few more words about Canonical URL tags. With their help, you will be able to take control of the multiple versions of the same content, so Canonical URL tags are perfect for managing configurable, grouped, and bundle products, as well as cross-domain content. Furthermore, Mirasvit Advanced SEO Suite for Magento 2 and 1 enables you to choose pages where canonical URL tags will not be used. The module fully supports relationship tags alternate and next & prev. Besides, it lets you limit meta title and description length since every search engine has a limitation of characters for each website snippet. Note that the recommended meta title should not include more than 55 symbols, while the limit for meta description is 90 symbols. For a page example.com/keyword, the extension creates an auto link and inserts it into that keyword on the CMS, product, and category pages. The number of links per page can be limited. Better search engine visibility (plus the ability to boost your CTR indicator).